The sun is out, but its not warm. The day comes alive after a frosty night, some still stretching toward the sun for warmth. 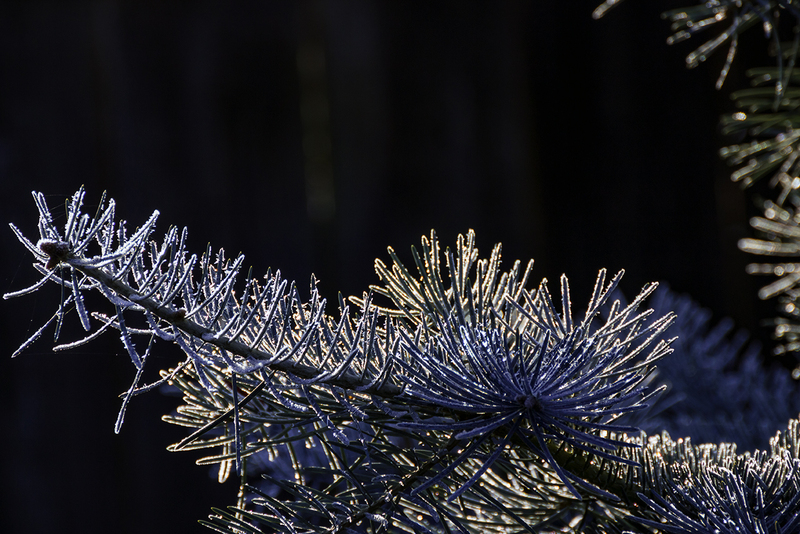 Its crystal clear and glistening as the frost sits upon the pine. Such a crisp morning.